And it has some awesome features, like multicolor LED display, custom dual alarm, and so much more! 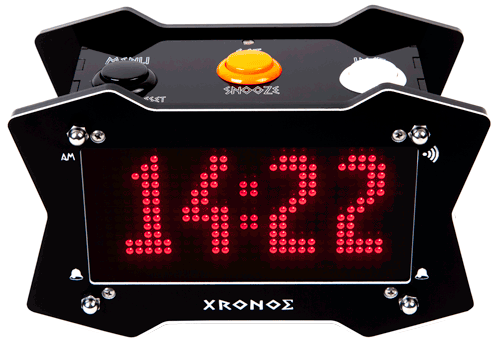 Xronos (from greek Χρόνος [kronos] which means Time) Clock is not your average Alarm clock. 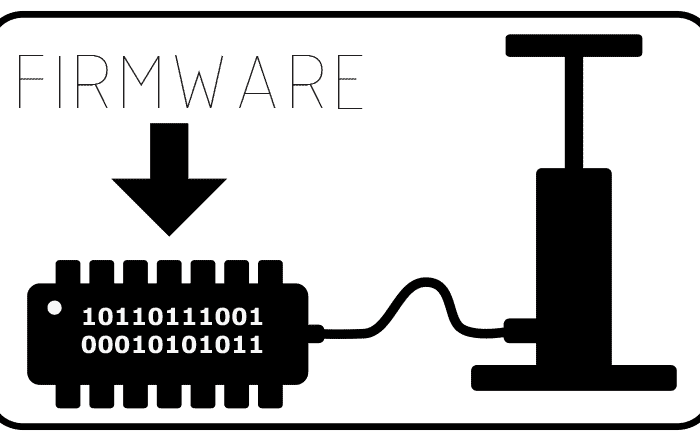 It’s open source, hackable and customizable device. It has a stylish look, hand made, and it Talks! Heck it will even tell you temperature inside your room or from a remote sensor * ! 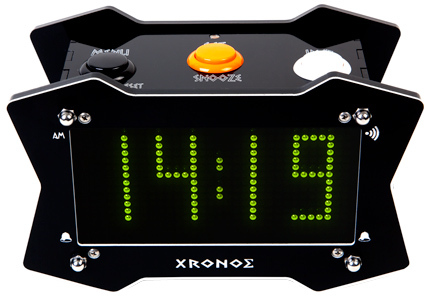 Xronos has 3 cool looking durable arcade buttons that give you simple access to all of it’s features. 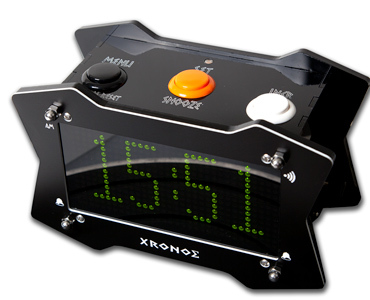 Dual Custom Alarms with 10 Alarm tones such as melody or special effect such as train, thunder or police siren. *Remote sensor not included (currently in development stage). 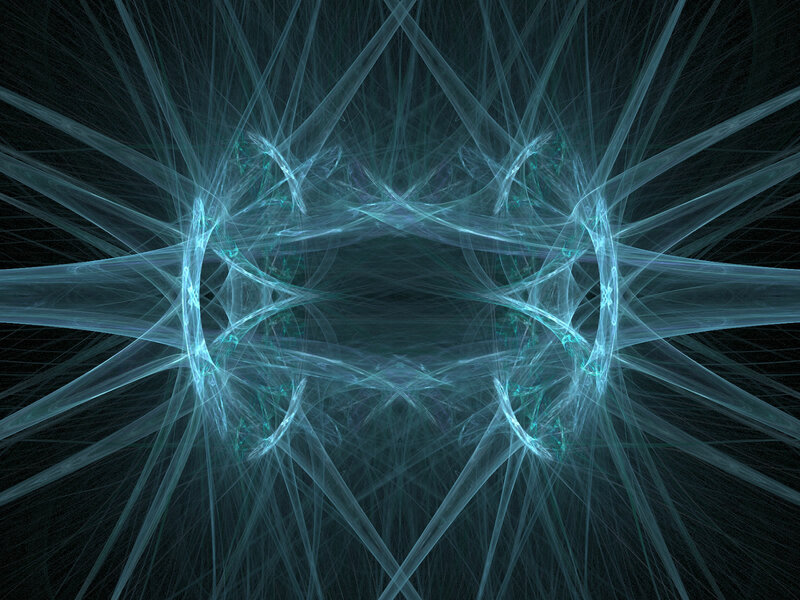 **Files must follow strict naming convention and be in uncompressed WAV format, 22Khz, Mono, 16 bit. Very good contact with the Len, the clock works as discribed. It was shipped to France and I really love it. Thank you for your great job. Awesome clock. Looks great. Very well made. What a pleasure it is to have your clock- I had this old Sony cylinder style for over a decade and every time the power went out for more than a few min it would have to be reset from scratch..